Apple has begun to prepare investors for the possibility that the European Commission's ongoing investigation into Ireland's corporate tax arrangements, which the commission argues amount to illegal state aid, could force the company to suffer a significant financial loss. "If the European Commission were to conclude against Ireland, it could require Ireland to recover from the company past taxes covering a period of up to 10 years reflective of the disallowed state aid, and such amount could be material," Apple wrote in its latest quarterly report. The warning was first noted by the Financial Times. The investigation stems from accusations that Ireland— alongside Luxembourg and the Netherlands— offered sweetheart tax arrangements to large companies in exchange for setting up operations there. 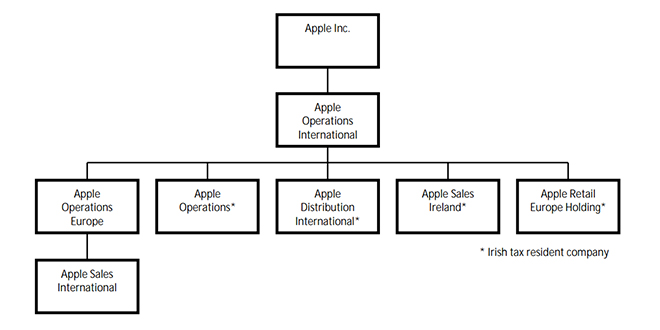 A preliminary report issued by the commission last year found that Ireland's 1991 and 2007 tax accords with Apple represented illegal state aid, designed to skirt market forces. Apple is thought to have saved as much as $9 billion per year as a result of these agreements, meaning that any penalty which includes retroactive tax recovery could run into the tens of billions of dollars. "Apple is proud of its long history in Ireland and the 4,000 people we employ in Cork," the company said in a statement last year. "They serve our customers through manufacturing, tech support and other important functions. Our success in Europe and around the world is the result of hard work and innovation by our employees, not any special arrangements with the government." "Apple has received no selective treatment from Irish officials over the years. We're subject to the same tax laws as the countless other companies who do business in Ireland."